A scanned image from the Wingspread published in 1961 with a photo of the first T-38 to arrive at Randolph Air Force Base, Texas. The T-38 Talon prototype embarked on its maiden flight as the Air Force's first supersonic trainer on April 10, 1959. Sixty years later, the sleek aircraft developed by the Northrop Corp. continues to meet the service's training needs. Used primarily by Air Education and Training Command for undergraduate pilot and pilot instructor training, the T-38 endures because of its initial design, a thorough maintenance regimen and a sustainment program known as Pacer Classic that has been responsible for essential modifications to the aircraft. "It had to be a great product for starters," said Lt. Col. William Borron, 560th Flying Training Squadron director of operations. "But we've had great people working on the plane for years, and that's kept it going. "We've also had amazing updates to the jet. All avionics have been updated, and it received an engine modification. While the outside of the jet looks the same, the inside is completely different and meets the needs of today's student pilots." 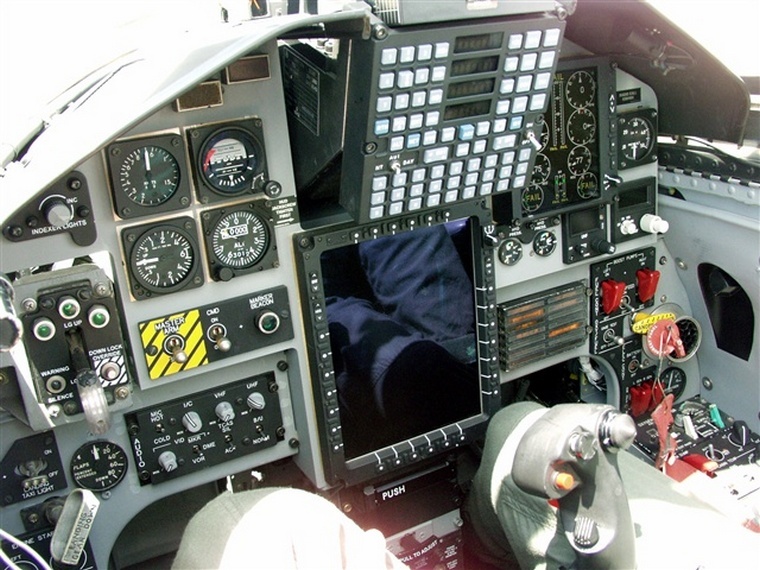 the most important update to the T-38 was the transition to the C-model, which improved avionics and allowed for the use of GPS. 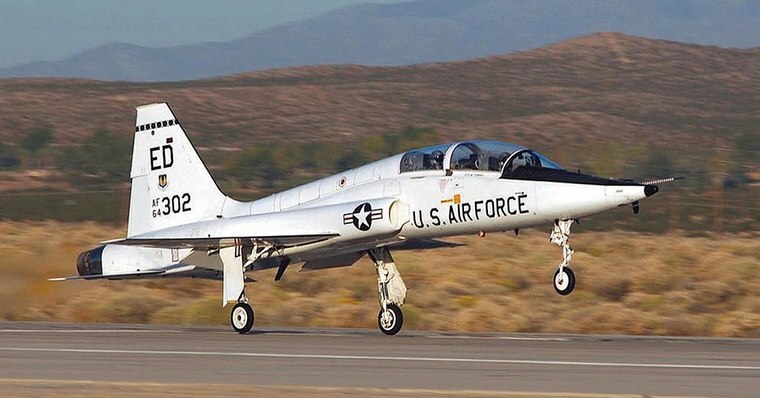 The T-38 made its first appearance at Randolph Air Force Base March 17, 1961. The aircraft was met with "applause and exclamations of admiration from the hundreds of persons who witnessed its delivery," according to the March 22 edition of the Wingspread newspaper. 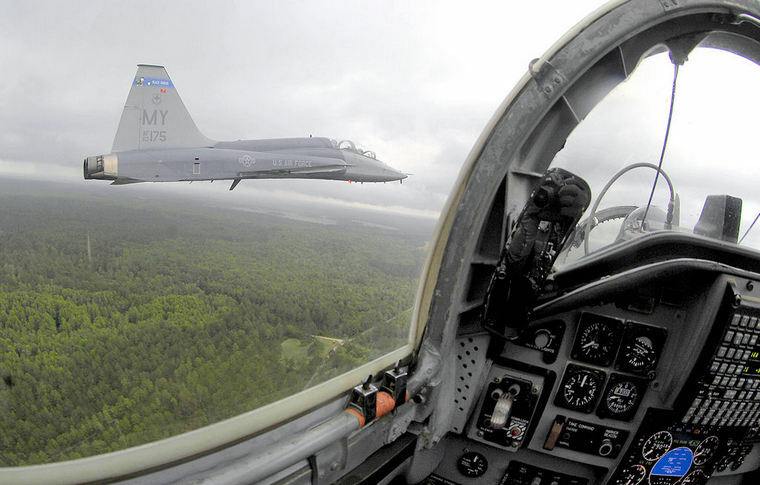 On the 50th anniversary of the T-38, Lane Bourgeois, 12th Flying Training Wing historian, focused on the aircraft's development and innovations. He cited the lightweight J-85 engine, the afterburner version of an engine developed by General Electric for a drone that fit into the bomb bay of a B-36. 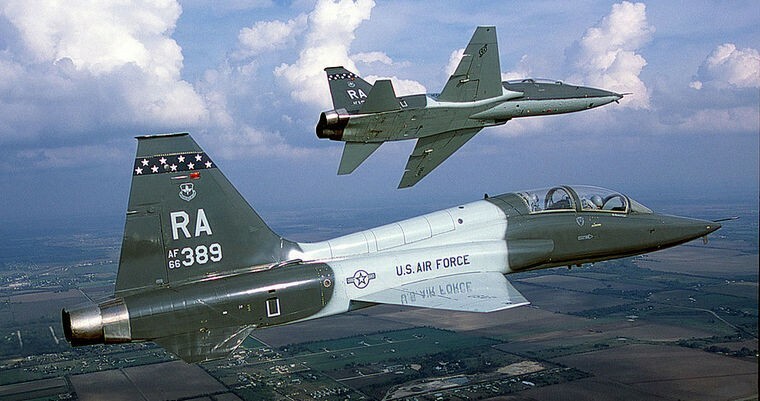 More than 1,100 T-38s were delivered to the Air Force before production ended in 1972. Photo © Chad Bellay USAF commons.wikimedia.org. "Northrop realized the higher thrust-to-weight ratio of two J-85s together would be greater than the thrust-to-weight ratios of other engines," Bourgeois said. "For example, two J-85s together produced just as much thrust as one J-57 engine, but the two J-85s weighed about 500 pounds less. Lighter engines meant designers didn't need as much wing area, less wing area meant less engine thrust required to push the airplane, and so on." Northrop designed a lightweight frame around two J-85s weighing about 10,000 pounds, which was half the weight of an F-100F and with better performance, Bourgeois noted. Another innovation was Northrop's development of a fuselage based on the "Whitcomb theory" attributed to Richard Whitcomb, an American aeronautical engineer known for his contributions to the science of aerodynamics. AT-38 Talon over Edwards AFB, Photo ©Wikipedia. "Richard Whitcomb had calculated that necking the fuselage just before the wings reduces drag at supersonic speeds," Bourgeois said. "The next time you see a T-38 up close, take note of the tapering hourglass shape of the fuselage. That's Whitcomb's theory at work, and it helps to make the T-38 supersonic." More than 1,100 T-38s were delivered to the Air Force before production ended in 1972; more than 500 are still in service. Now known as the T-38C, the aircraft boasts a variety of Pacer Classic modifications. "Engine updates improved our takeoff and landing performance, and the ejection seats have been updated, giving us a larger safe-ejection envelope," Borron said, "but the most important update to the T-38 was the transition to the C-model, which improved avionics and allowed for the use of GPS. GPS is the future in terms of navigation, and it was crucial to train all future pilots to navigate utilizing GPS." Borron called the T-38 "the toughest plane" he's ever flown, which could be advantageous for new pilots. "The best thing about the T-38 is, after learning to fly it well, you feel like you have the ability to fly anything in the Air Force fleet," he said. But it is also a "great fun plane to fly," Borron said. "It rolls faster than any plane I've ever flown and climbs great," he said. "I've flown many planes and this one can change parameters on you faster than any of them. It is a challenge to fly, like I've said, but once you learn to fly it well, you feel like you've achieved something." The T-38 maintains its relevance with the newest generation of Air Force pilots. Second Lt. Kevin Yalung, 435th Fighter Training Squadron Introduction to Fighter Fundamentals student pilot, said his first exposure to the T-38 was at the U.S. Air Force Academy. "Now I have more than 130 hours in the T-38, but I had not flown any aircraft at the academy except gliders," said the 2018 USAFA graduate. "At the academy, instructors would talk about the T-38 and they would do flyovers there, which was a blast." Yalung's comments on flying the T-38 mirrored those of Borron. "It's just a great aircraft to fly," he said. "It's a challenge, but exciting. There's a lot we can do with the new updates. It allows us to get exposure to a lot of different training types." Even though the aircraft has been in use since before his parents were born, Yalung sees the value of the T-38. "They train us to know so much about this airframe and its upgrades," he said. "I have a lot of trust in it. It works quite well."